2x3.5 Campaign & Election Business Card Magnet Round Corner A 2 x 3.5 campaign and election business card magnet with round corner makes a good campaign promotional tool. 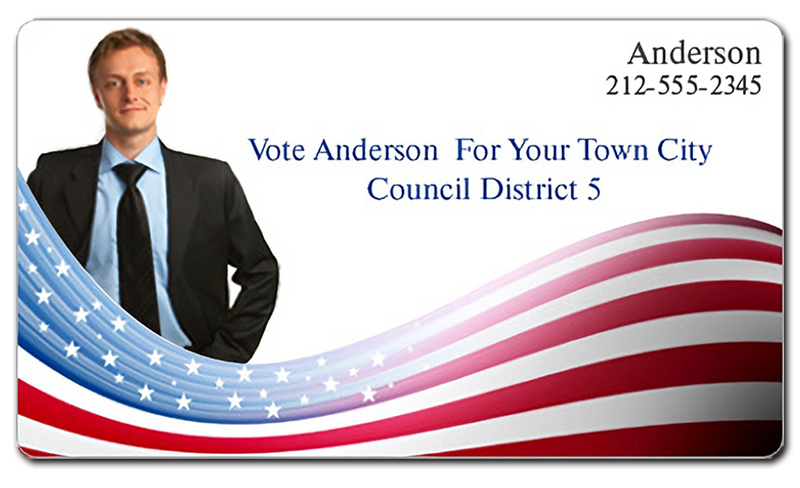 This round cornered business card magnet helps to ease the voter’s access to a politician. Campaigners seeking it can always order it in bulk to gain benefits of discounted customization fee. Free shipping, free design, and free art set up are offered on all orders.